That’s where dried fruit comes in. It’s got all the tangy sweetness you love, just in a more convenient package. Dried fruit is filled with good things for your body like fibre and antioxidants. It’s also a fantastic source of energy for when you’re exercising. A few Maui Pineapple Rings, Orchard Apple Rings or slices of Sunshine Mango are perfect for a quick fuel boost on a run or hike. 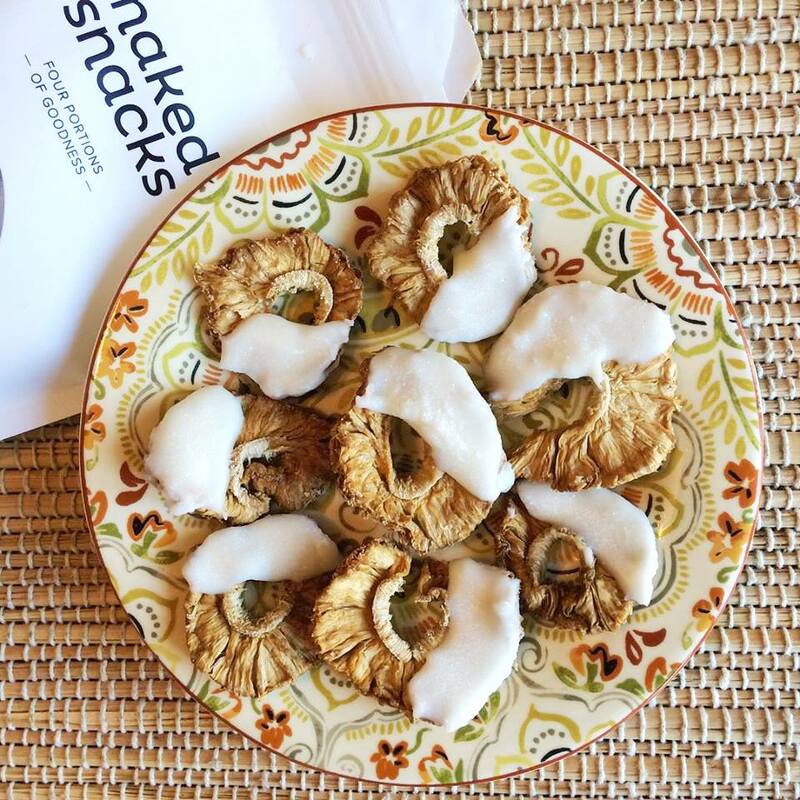 Even better, none of our dried fruit snacks contain any added sugar. Just 100% fruit! For kids with a sweet tooth, dried fruit is also a great way to mix things up in a clean-eating kind of way. And if the fruit itself isn’t indulgent enough, we’ve got three delicious recipes below using our dried fruit snacks that will help you take things to the next level. 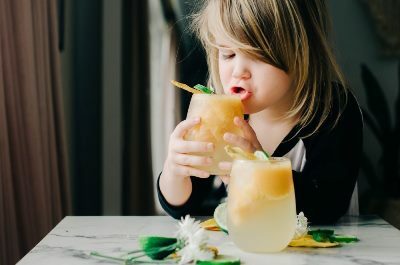 This fresh summer sipper created by the Creative Wife & Joyful Worker is an all-ages crowd pleaser. 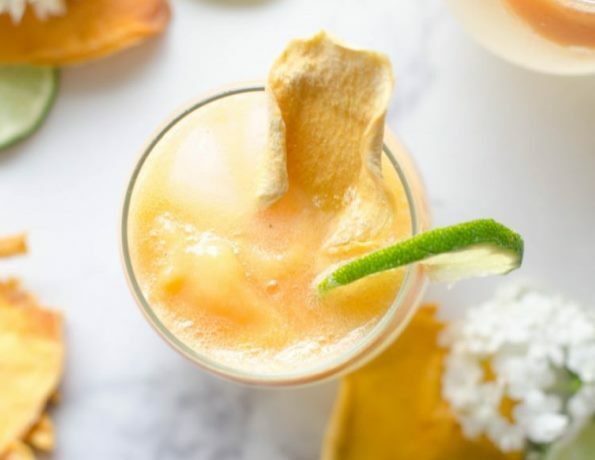 The recipe makes two drinks, but we won’t judge if you make yours a double! Add the frozen mango chunks into your blender. Add about two tablespoons of water, which should just be enough to soak into the fruit. Turn on blender and mix until your slush is thick and smooth. Pour your sparkling water into your cups. Slowly add your mango slush on top of the ice so that it rests on top. The ice will keep the slush frozen for a longer period of time. 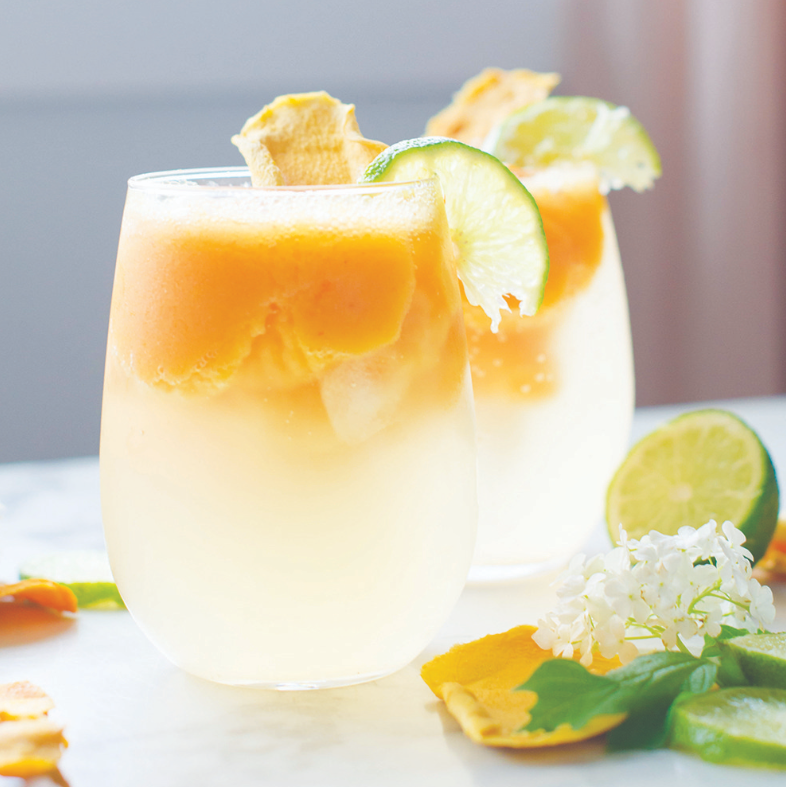 Garnish with a piece of Sunshine Mango, slice of lime and a straw. 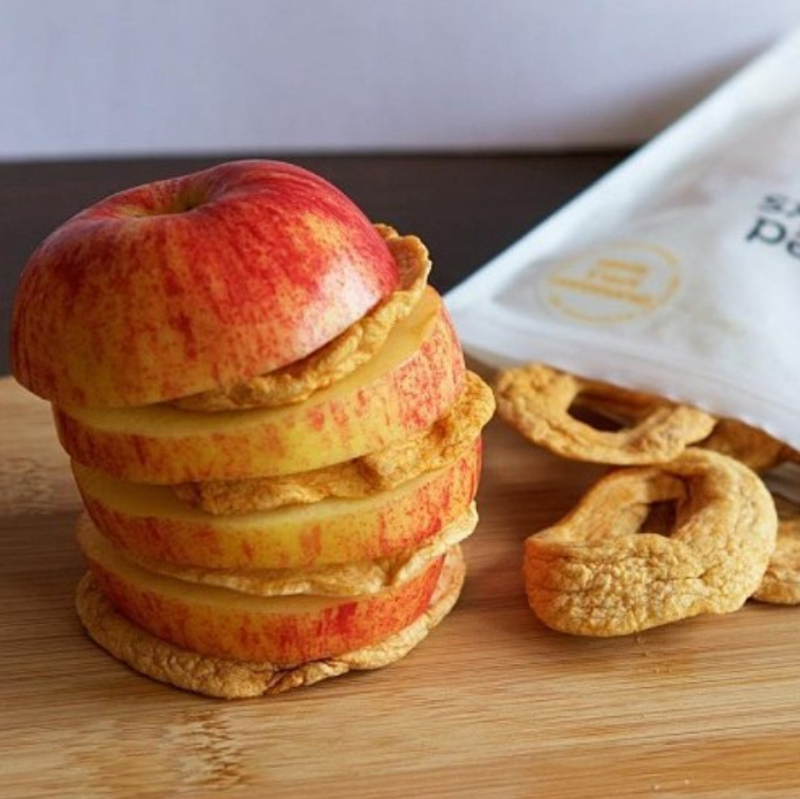 Take your snacking to new heights with these protein-packed apple stacks, perfect for the lunchbox or a mid-morning munch. They’re easy for the kids to help with too! Lay out the apple rings on a plate or the counter. Using a knife or spoon, lightly coat one side of each apple ring with a bit of nut butter. Top half the apple rings with raisins, seeds, coconut or any other toppings. Eat right away or pack as a snack. You can also get creative and make a double or triple stack! Just be sure to coat both sides of the middle ring(s) with nut butter. You can make a lot or a little of this tropical treat inspired by Ricki Heller. Simply adjust the amount of chocolate you use for the number of pineapple rings you’re dipping. Melt the chocolate using a double boiler or microwave. Pour in the coconut oil and stir until smooth. Dip half of each pineapple ring into the chocolate, using a spoon to get desired coverage if needed. Place on a parchment lined baking sheet with space between each ring. Sprinkle the chocolate-dipped half with dried coconut before popping in the fridge to cool. Remove from the fridge a few minutes before eating and say aloha to your new fave indulgence! Try all three recipes and let us know which is your fave on Facebook or Insta! We’ve also got lots more where these came from. Check out our recipes for high energy Wholesome Yogi Balls, two tasty smoothies and healthy(ish) Chocolate Chunk Cookies. Life’s all about the 80/20, right? !